OnePlus 5 ke successful launch ke baad campany OnePlus 5T ko launch kiye hain. Yeah chinese Smartphone manufacturing company ne yeah Phone ko launch kiye hain. Yeah Phone 16 November 2017 ko market mein available hogi. Phone ke launch se phale Specification information leak ho gaye hain. OnePlus 5T ko OnePlus 5 ke upgrade version kha ja shakta hain. Yeah Phone Android 7.1.1 Nougat per run karti hain. OnePlus 5T ko sabse powerful processor or fastest phone ka dawa kiye gaye hain. Yeah phone ki price India mein Rs.40,000 hogi. Yeah Smartphone devices ne launch ke date and price ko confirmed kiye hain aur 16 November 2017 ko available hogi. 64GB memory Rs. 40,000 thak or 128GB memory wali Rs. 45,000 thak available hogi. OnePlus 5T mein 6 inches ki optic AMOLED capacitive touchscreen hain. Dual sim nano sim, Gorilla Glass 5 phone ko full protect Kare gi. Phone mein octa core processor hain. Android 8.0 Oreo or 64/128GB ki memory mein available hain RAM 6/8 GB hai. 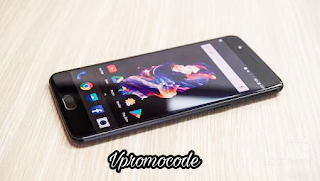 OnePlus 5T Price On Amazon. Yeah Smartphone 21 November ko 4:30 PM mein Amazon per available hogi. Other e-commerce company ko phone ke wait krna hoga. Yeah Smartphone ke starting price Rs. 40,000 hain. Amazon per launch hone ke baad yeah Phone jaldi hi Flipkart per bhi available ho Jaye gi. OnePlus 5T launch kab hogi? Yeah Phone 16 November ko launch kiye Jaye ga. Amazon per 21 November ko 4:30 PM mein ko sale Kare gi. Ager aapko OnePlus 5T related koi question puchna ho to aap comment box mein comment kare.